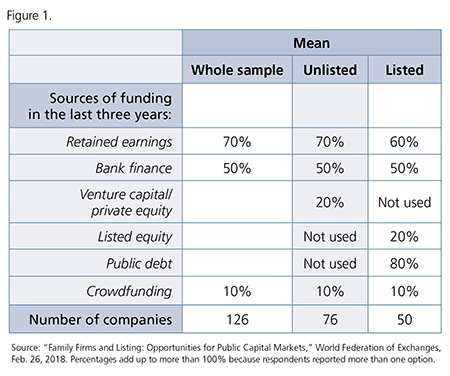 The study found that what these family businesses prefer most of all is using retained earnings or bank financing to fund their operations and investments. 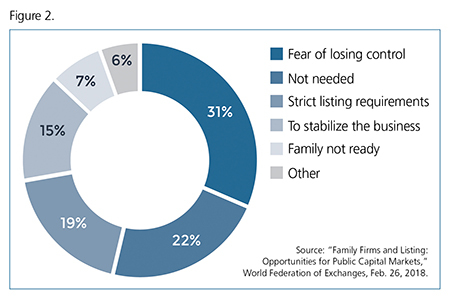 In the same study, the World Federation of Exchanges researchers asked representatives from 53 unlisted family firms why they never considered listing their companies on a public exchange. Their reasons for not going public can be found in Figure 2. These statistics — plus a special report on the quest for liquidity in family businesses — can be found in the May/June 2018 issue of Family Business Magazine.